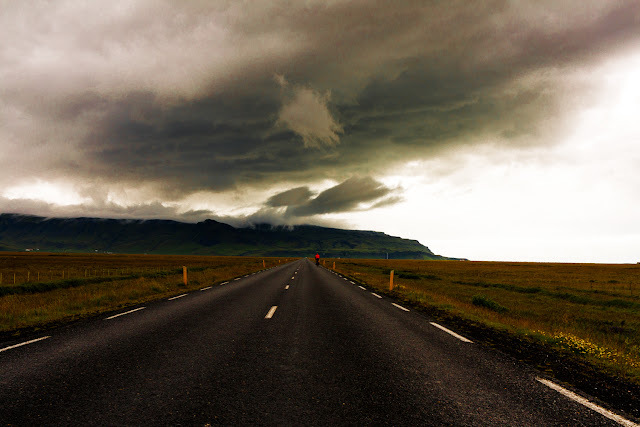 Iceland, South Coast, Summer of 2011. I did not want to change seats with the biker in red. But he seemed happy despite the storm above. The coast line is out towards the right. There is flat land, very flat land, only up to that range of mountains on the left. The mountains step back in this very spot and form something like a bay. That may be the reason for the coulds to collect in that spot.